We take great pride in our work with clients in the UK, China and beyond. We invite you to explore some of our recent success stories. These are just some of of our stand out projects so far. We have been curating the Premier League’s Chinese social media for the past six years. This body of work has evolved from a single-channel offering in year one, to a multi-platform, multi-language strategy. We helped the Premier League launch its first ever Mandarin-language App in late 2018, to supplement its existing presence on the Chinese social media platforms: Weibo, WeChat, Toutiao & Douyin. As of the 2018/19 season, we also provide social media management services for the Premier League on Facebook in Thailand, Indonesia, Taiwan & Hong Kong. Our creative team provides full service management of social channels, from live match-day social media coverage through to beautiful artwork. A transparent approvals process is in place with the Premier League, and we report back to them on a daily basis regarding content performance and market trends. We currently create approximately £250,000 worth of media content for the Premier League each month based on local market social media rates. Even if you have never been to China you have probably still heard of WeChat. Chinese tech giant Tencent’s App is ingrained in Chinese life – from messaging you mum through to buying air tickets. It is everywhere. If you want to know where WhatsApp may end up, look at WeChat. For brands WeChat offers a unique opportunity for personalising marketing and purchasing, but also a real challenge in terms of the nature of the App itself. The trick is to think differently. In 2017 we built a chatbot to live within Wimbledon’s official WeChat account. The objective was to create an online experience that engaged more fans for longer. Sticky content. To promote the launch of FIFA Online 3 in China, we worked closely alongside EA Sports and Tencent Games in order to create a special “Class of ‘92” players’ pack for Chinese gamers only. To appeal to the key audience, we interviewed some of the game’s top players at the coolest locations, and also used green-screen technology to allow the players to create personal skills and moments. These were then incorporated into the video game itself. When fans in China played the game, they were able to access these exclusive player interviews and content. We are excited about the opportunities that Artificial Intelligence presents. Red Lantern looks to test and learn from new technologies when possible. In partnership with the Premier League and Chinese platform Toutiao, AI-powered technology is used to produce Mandarin-language match reports for all 380 Premier League matches. The reports are published in real-time. This practice was a first for a rights-holder in China. We look forward to further connecting rights holders and sports brands with Asian innovators in the future. When Chinese state broadcaster CCTV filmed their 2014 World Cup preview shows in the UK, we were honoured to be appointed their UK production partner. We oversaw the filming of five episodes, including locations such as Wembley Stadium, Chatsworth House, and the Cavern Club. We also arranged guests such as Sir Geoff Hurst and Martin Peters for the series. The show went out on primetime TV, and was not only viewed by hundreds of millions, but was also sponsored by major Chinese brands, including Huawei and Snow Beer. This project demonstrated that we are more than capable of delivering big projects for major clients and to big audiences. Singer Eason Chan is one of the biggest celebrities in China and throughout Asia. The Hong Kong star was at Wimbledon 2018 as a guest of official Wimbledon supplier Ralph Lauren. 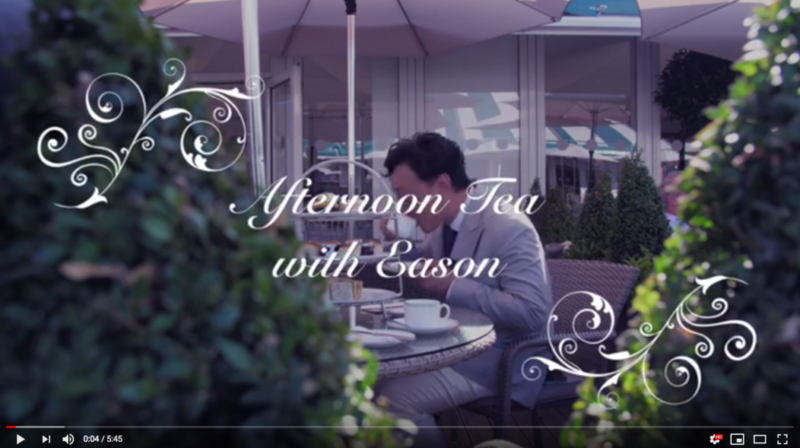 We worked with Wimbledon and Ralph Lauren to develop an ‘Afternoon Tea with Eason’ film creative ahead of the men’s final. The idea was to match up the idea of Wimbledon being tennis in an English country garden, with the style and taste of Ralph Lauren. It goes without saying that Wayne Rooney is one of the world’s most successful athletes and something of an icon across the globe. We manage all of Wayne Rooney’s Chinese social media feeds, creating bespoke content specifically for the Chinese market. As Wayne became increasingly popular with the Chinese market, taking control of his Chinese digital footprint was crucial in order to protect and expand his personal brand. With careful strategic planning, and calling on our team in both the UK and Beijing, we give Wayne’s Chinese fans a direct insight into his life and career. Wayne is currently the most followed foreign footballer on Chinese social media.